The Peoples Democratic Party has asked the Independent National Electoral Commission not to tamper with the nomination of Mr. Tony Nwoye as its candidate in the November 16 governorship election in Anambra State. 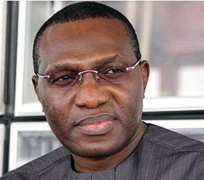 The party in a letter by its counsel, Mr. J.K. Gadzama (SAN) and Managing Partner, J.N Egwuonwu to INEC chairman, Prof. Attahiru Jega alerted the commission to media reports that Senator Andy Uba had been upheld as the party's candidate for the election following a court order. According to PDP, the recognition of Nwoye was necessary to ensure that the polity was not unduly overheated as the commission's silence on the issue had led to misconceptions especially in the media. The letter was copied to the Secretary of INEC; Chairman Legal Services Committee of INEC; Director of Legal Services in INEC; Federal Commissioner (Political Party Monitoring); Director of Political Party Monitoring; PDP National Chairman, Alhaji Bamanga Tukur and the Acting National Secretary of PDP. The party said that the judgment of the court ordering the parties to the dispute on the legitimacy of the Anambra State PDP executive to maintain the status quo did not in any way mean that the nomination of Nwoye through the primary conducted by the party's National Executive Committee should be upturned. The PDP stated that the conduct of gubernatorial primaries remained the exclusive function of the NECs of political parties as stipulated in Section 87 of the Electoral Act. According to Gadzama, a change of leadership even if enforced on PDP can not alter the job procedurally done by the NEC, which produced Nwoye as the party's candidate. The party pleaded with Jega to maintain the integrity of INEC under his leadership and referred him to the order of the Federal High Court asking the parties in Anambra State to maintain the status quo. The counsel said, 'Sadly, this order of court, most especially the third paragraph which states that the 1st and 2nd Defendants (the PDP, and the INEC) should recognise and deal with the 1st Plaintiff (Ejike Ogbuebego) in all matters in Anambra State has been badly misconstrued and the position of the court deliberately and mischeviously misrep-resented. 'The issue of who is the valid governorship candidate of PDP in Anambra State does not in any way concern the State Chairman of the party in Anambra State; rather it is a function of the National Executive Committee of the party', Gadzama stated.